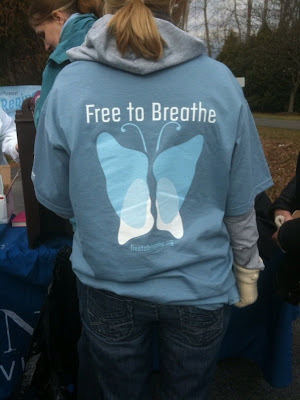 Perhaps at the top of the list of things you take for granted: breathing. You should be able to trust that every day you'll breathe, that your lungs will work the way they ought to, but it isn't always the case. 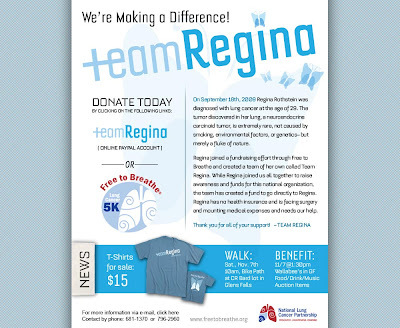 Not yet 30, employed yet uninsured, Tribune employee and Glens Falls Resident, Regina Rothstein found herself staring down a diagnosis of lung cancer (neuroendocrine carcinoid) on September 18th of this year. One of her co-workers, a longtime friend and client of Trampoline, Melissa O'Sick, called us to ask if we might be able to help in some way. 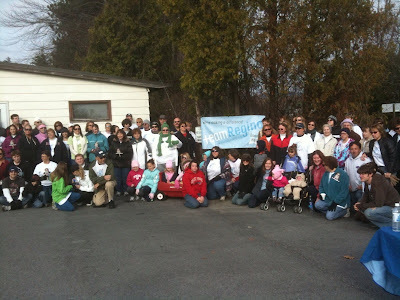 Unsure how to have the most impact, we decided to do everything we could in the time that we had. 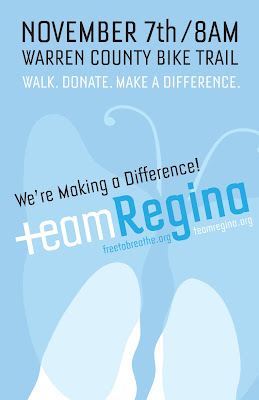 First came t-shirts for those walking with and for Regina. 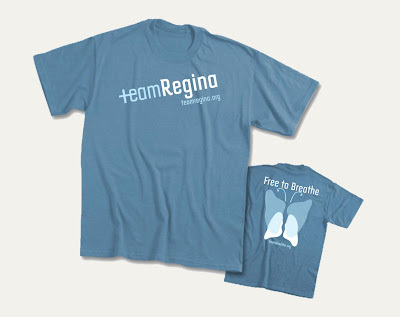 Colleen over at Ridge Street Coffee Company (1 Ridge Street in downtown Glens Falls) continues to sell the Regina t-shirts for $15 a piece— raising awareness and money for Regina as she battles this diagnosis with bottomless ferocity and zero health insurance. Next came banners and markers to guide the way along the walk. A poster to get the word out to hundreds of Tribune employees. A spot on the web that directs people to a place to give. 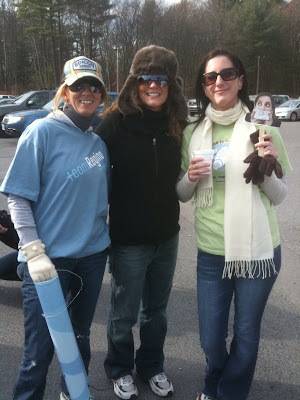 Melissa O'Sick, Nicolle Burton and Regina Rothstein. 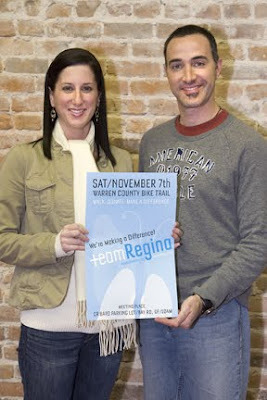 Regina's Behind-the-scenes Team. A very special thanks to these Trampoline vendors who helped us complete this effort with minimal costs. 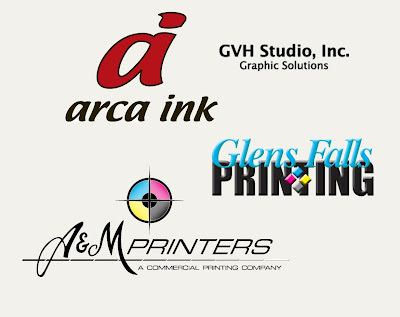 They always work hard for us and produce quality products. This went above and beyond—we're proud of the work, humbled by their commitment and generosity. 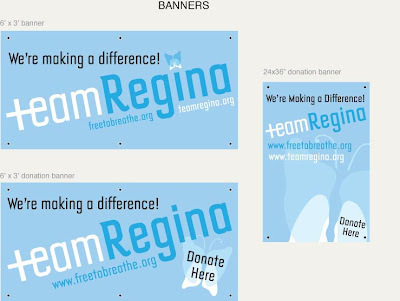 Breathe new life into this campaign, give to Regina and Team Regina.